Hey, Greater Boston folks, come out Sunday, April 28th from 5-10 pm for a Printer’s Happy Hour featuring Chris Fritton, the Itinerant Printer! 523 Medford St, Second Floor, in Charlestown! Ted Ollier has been dealing with design and printing since about 1995. He has been working with digital layouts from Aldus Pagemaker to Quark XPress to Adobe InDesign to Affinty Designer. He has dealt with standalone RIPs to imagesetters to ferric etchings to transparency masks. He has designed fonts, business cards, wedding invitations, CD covers, trifold brochures and curriculum booklets. He was trained as a traditional printmaker — intaglio, relief, silkscreen and lithography — at Texas State University and Massachusetts College of Art. 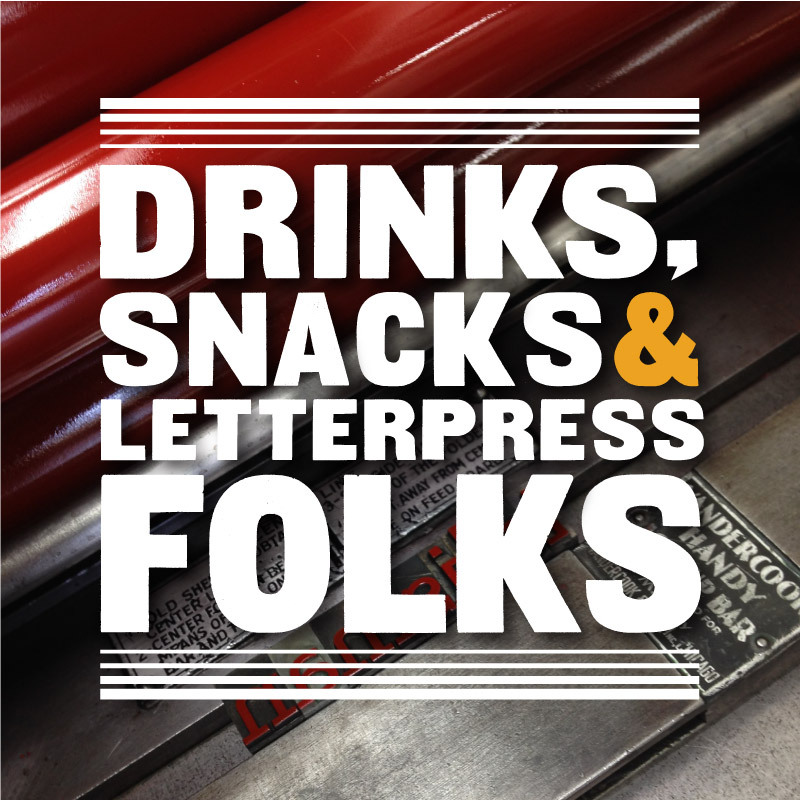 He has been teaching letterpress since 2008 at the Bow & Arrow Press and Arbalest Press. He can pretty much set you up with what you need to get something printed. He is also a conceptual artist, and you can view his artwork at Mindhue Studio, the Internet Swadesh, People of Spam, and FreshEarworms. He lives in Medford, Massachusetts, with a patent attorney, a brand-new human, a red tabby and a fluffy chow-mix. Would you like to know more, inquire about classes, or get a quote for a job? Please fill out the below form.